"Before Stonehenge. Before the Pyramids." 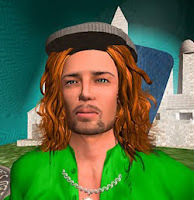 Thank you all for joining us to kick off 10 days of celebrating Seanchai Library's 10th year presenting stories in Virtual Worlds! The Newgrange exhibit and Museum is still under construction in Celticworld here in Kitely, but come on by and explore where we've gotten so far..
and visit Stonehenge, Blarney Castle, Hall of Heroes, the Croggan, St. Brendans boat and more while you're here! 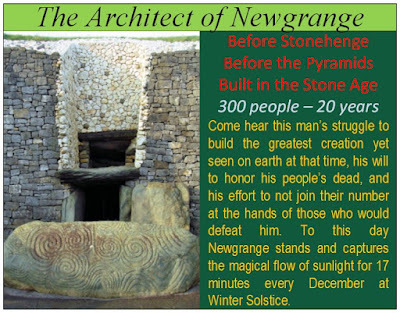 PART TWO OF 'ARCHITECT OF NEWGRANGE' WILL BE LIVE NEXT THURSDAY NIGHT.